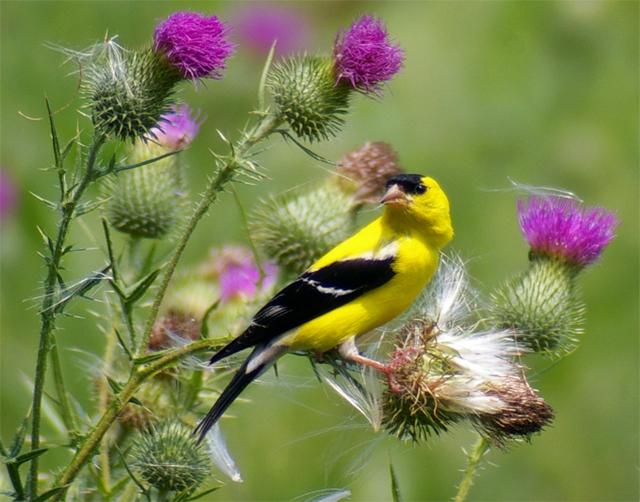 Male eastern goldfinch amongst the thistles; photo by Jen Goellnitz on Flickr (noncommercial use permitted with attribution / no derivative works). Also called wild canary, American goldfinch, or willow goldfinch, the eastern goldfinch eats primarily seeds from dandelions, sunflowers, ragweed, and evening primrose. The male goldfinch has a bright yellow body with black wings and tail, and black on top of his head. The female's plumage is more muted with an olive-yellow body and dark brown tail and wings (the male goldfinch also displays this same dull plumage in the winter months). 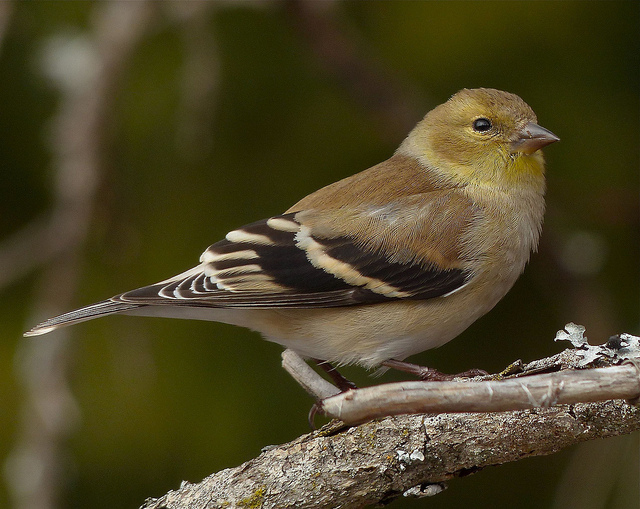 Female eastern goldfinch; photo by eugene beckes on Flickr (noncommercial use permitted with attribution / share alike).